Ever thought about joining a thriving and passionate non-profit board supporting alternative education? Seeing the education center grow and knowing you had a part in it? Bay State Learning Center is looking for board members, people who want to help fundraise, build the brand, and help us dream. Reply to this Email to let us know you're interested and we'll send you an invite to our next meeting. You don't have to commit at that meeting but we're guessing once you meet everyone and understand our mission you'll want to sign up. 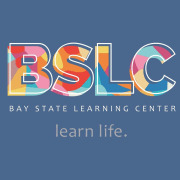 BSLC is a child centered learning center for students aged 10-19 located in Dedham, MA. In addition to personalized support and a regular schedule of optional classes, we provide a safe, comfortable environment where students can work, socialize, and thrive free of the coercion and pressure of traditional school. Ideally a board member would be someone with an interest in alternative education styles and a fairly broad set of skills that could include, fund raising connections, growth and development advice/help, and/or an aiding check on running the business. If you are interested in applying to join the BSLC Board, please email us a short introduction to information@baystatelearning.org or sign up via the volunteer match website. Thank you from the BSLC team.